The committee is chaired by the president and is comprised of the president, vice president, secretary and treasurer and acts on behalf of FCH in managing the affairs of the organization during the intervals between board meetings. The board of directors is elected by the membership annually to hold 3-year terms. The main purpose of the board is to represent its members by managing the financial and policy decisions of the organization. An Advisory Board made up of former Board Members and other persons works closely with the coalition to ensure continuity and provide input and guidance on coalition matters. As president of Florida Coalition for the Homeless, Daniel Ramos oversees the yearly advocacy plan for the 27 Continuums of Care throughout the state of Florida and is responsible for coordinating and organizing activities to generate financial support and legislative cooperation. Daniel has been involved working with non-profits for almost 20 years, before transitioning to local government where he currently works as the Operations Supervisor in the Division of Human and Veteran Services. He holds his Master’s degree in organizational Leadership and is currently working on a Doctoral degree in Organizational Leadership. Daniel began his career in New York working with youth in group homes and adolescent crisis units. He then moved into working with single adults experiencing homelessness in recovery from substance use issues. He moved to Florida about 13 years ago with his beautiful wife of 20 years and their three amazing children where he continued his work serving families with children experiencing homelessness, and is currently working on serving homeless single adults. Daniel is currently leading the efforts of expanding the coordinated entry system to serve those at risk of homelessness. 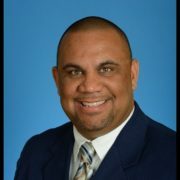 He has served as a board member on the Community Back to School Bash’s Executive Committee serving over 12,000 students with school supplies and has served as an Executive Committee member of the CoC in PBC. He also currently chairs the Unmet Needs subcommittee of the CoC. Laura Lee Gwinn has served the Homeless Coalition of Polk County (HCPC) since 2013. Prior to her current position as Executive Director, Gwinn served as HMIS Project Manager and as Chief Operating Officer for HCPC. She oversaw the planning and implementation of the CoC’s Coordinated Entry system, the merger of two CoCs in Polk County, and the development of a five-year strategic plan for the CoC. In addition, Gwinn serves on the Affordable Housing Advisory Committee for Polk County the Polk County Homeless Youth Task Force. 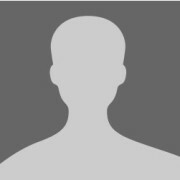 Prior to joining HCPC, Gwinn worked primarily in technology and healthcare fields. She received her B.S. in Information Technology from the University of South Florida. Leeanne is currently the Assistant Director of the Treasure Coast Homeless Services Council, Inc. She serves as the finance director for the management and oversight of more than 28 grants and programs. Her ten years’ experience as a homeless program director and HMIS administrator more than qualifies her for her current role in providing oversight and administrative services as well as program support to a tri county CoC with more than 65 member agencies. The Resource Center of the Treasure Coast Homeless Services Council, Inc. also provides direct services to up to 1,000 clients per year. Leeanne is currently studying for her MBA. 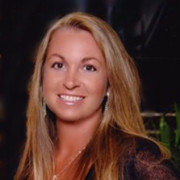 Amanda currently works as a technical advisor for the Florida Housing Coalition. In this role, she provides training, technical assistance, and consulting to Continuums of Care and their member agencies throughout the state of Florida. She holds a master’s degree in Social Work with a focus on organizations and communities from the University of South Carolina. For the past ten years, she has worked with individuals and families experiencing chronic homelessness in various settings including a drop in center, emergency shelter, HIV clinic, and permanent supportive housing programs. As a strong advocate for housing first and recovery oriented systems of care, she is passionate about utilizing evidence based practices and providing effective interventions to work with some of the most vulnerable populations. Adell Erozer is an active board member of FCH and has served as the executive director of the Community Coalition on Homelessness, now known as Turning Points, for more than 11 years in Bradenton. She developed the Bill Galvano One Stop Center which features a variety of programs and services, including a free medical and dental clinic. 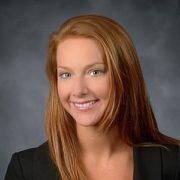 Katie Fleetwood is a Program Manager for Humana’s Medicaid line of business in the state of Florida. 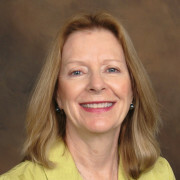 After obtaining her Masters Degree in Business Administration – Healthcare Management from Saint Leo University in 2014, Ms. Fleetwood began working for a strategic healthcare firm which led her to her current role at Humana. Currently, Ms. Fleetwood leads a statewide team of outreach representatives whose main purpose is to connect resources, providers, and members to one another in an effort to create a healthier community. Ms. Fleetwood also serves as a Well-Being and Cultural Engagement Champion for Humana where she is able to implement healthy initiatives for associates’ mind, body and soul. A single mother of a 7 year old boy on the autism spectrum, Ms. Fleetwood dedicates her free time to work with organizations like Autism Speaks to enhance the lives of children, adults, and families of those impacted by autism. Skip Forsyth serves as the director of the Florida Department of Education’s (FLDOE) Homeless Education Program. 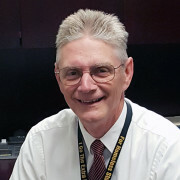 Prior to taking his current position, he served as the senior program specialist for homeless education and directed the Safe and Drug Free Schools Program for the Florida Department of Education and the Substance Abuse Prevention Program for the Florida Department of Children and Families. Forsyth’s experience also includes overseeing the Drug Education and Prevention Center in St. Augustine, Florida. Antoinette D. Hayes-Triplett serves as the Chief Executive Officer of the Tampa Hillsborough Homeless Initiative (THHI) with over 20 years of experience in the homeless/social services sectors. Antoinette also serves as the Chairperson of the Tampa Hillsborough Continuum of Care (CoC). In her current position, she was the chief developer of the Operation: REVEILLE housing initiative. Antoinette is a veteran of the U.S. Air Force. She has bachelors’ degrees from Southern Illinois University at Carbondale and Park University. She also has a master’s degree from Webster University. John Johnson has served as the executive director of the EscaRosa Coalition on the Homeless (ECOH) since 2011. 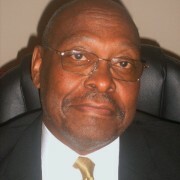 Prior his current position, Johnson served as the HMIS (Homeless Management Information System) administrator for ECOH. During his 10 years with the organization, Johnson has advanced the mission of ECOH through his ability to identify funding sources, secure funding through grant writing, and increase community engagement through staff development. As Executive Director of the Miami-Dade County Homeless Trust, Victoria L. Mallette is responsible for directing and implementing Miami-Dade County’s Community Homeless Plan, the local Continuum of Care’s approach to ending homelessness. She provides administrative, contractual and policy formulation assistance related to homeless services, and oversees a $60 million budget, in collaboration with a 27-member Board of Trustees. Michael Overway, CEO at Continuum Care | Consulting, has served on the FCH Board for 3 years. Michael has lead in the growth of HMIS and Continuum of Care programs in Southwest Florida for the past 7 years. Recently he started Continuum Care | Consulting and now is working with several continuums assisting them with HMIS and CoC development. He looks forward to serving on the FCH Board for another term and building new relationships with other HMIS and CoC partners around the state. "HMIS systems are meant to support the community as it seeks to reform and set programs and projects into motion that provide quality, clarity, and transparency for the end user." - Michael Overway, September 2016. Barbara Wheeler has served as the executive director of Mid Florida Homeless Coalition, Inc. for over nine years. She currently serves on the Florida Coalition for the Homeless Board of Directors, the Salvation Army of Citrus Advisory Board, the Affordable Housing Advisory Committee of Citrus County, the Public Safety Committee of Lake County, the FEMA EF & SP Boards in Citrus, Hernando, and Sumter Counties, and the HOME Board. 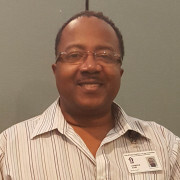 Prior to his current role at FHC, Eugene Williams gained invaluable leadership experience as the executive director for the Coalition for the Homeless of Pasco County. 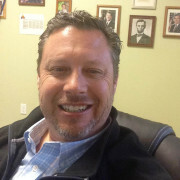 During his tenure in Pasco, Williams organized, developed, and coordinated the writing and implementation of the county’s 10-year plan to end homelessness and developed seven local homeless resource centers. 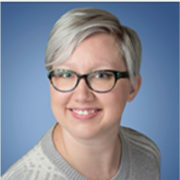 Sarah Yelverton, Executive Director of Homelessness & Housing Alliance began her career in homelessness assistance as the finance director for the Okaloosa Walton Homeless Continuum of Care in 2010. Sarah immersed herself in the contracts and absorbed as much information as was available on the homeless assistance system. Through her efforts, Sarah was soon promoted to shelter manager at Opportunity Place in Fort Walton Beach. There she implemented strategies to move her shelter clients into permanent housing and increasing their ability to remain stably housed. Sarah serves as the Chair for the Okaloosa Walton Crisis Intervention Taskforce, which is focused on integrating law enforcement, behavioral health, and correctional facilities. 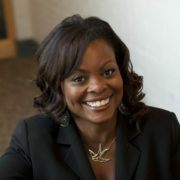 Robyn Andrews previously served FCH as Executive Director and Board Member. Currently, Ms. Andrews covers the Southeast Region, including Florida, for a national non-profit addressing issues surrounding homelessness and supportive housing. She previously served 6 terms as President of the Homeless Coalition of Nassau County, and has worked directly in several different capacities with Continuum’s of Care in Florida and other non-profits with the mission of ending homelessness. 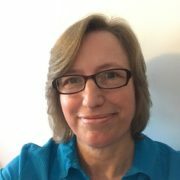 Robyn developed and chaired the Nassau County Affordable Housing Task Force and served as a member of the Steering Committee for the Nassau County Community Health Improvement Plan (CHIP), as well as the Northeast Florida SOAR Steering Committee. She has more than 20 years of direct experience working in the field with adults experiencing mental health issues, domestic violence, substance use issues and homelessness, as well as adults and children with disabilities. As a former FCH Vice-President and Board Member, Angela Hogan previously represented FCH through the organization’s appointed seat on the Florida Council on Homelessness. She also served as chairperson of the Florida Council’s Continuum of Care Committee. Ms. Hogan is the Executive Director of the Gulf Coast Partnership CoC. Her background includes spearheading multiple building campaigns for youth housing and shelter projects in addition to managing foster care child welfare contracts. 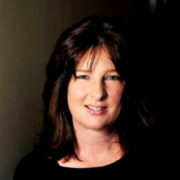 Louise Hubbard has played an instrumental role in directing the activities of the Florida Coalition for the Homeless almost from its inception, having twice served as president and serving five terms as treasurer. She has also served as the executive director of the Treasure Coast Homeless Services Council, Inc. since the year 2000. In both positions, Hubbard draws from her background in affordable housing development and grants as well as her contract management experience in the private sector.